Cobbled streets are highlights in several cycling competitions such as the Tour de France and the Paris-Roubaix Race as riding upon them is technically more challenging than riding on asphalt. When the Eiffel Tower is in sight, riders in the Tour de France begin the first of eight laps on the cobbles of the Champs Elysees to the finish line. 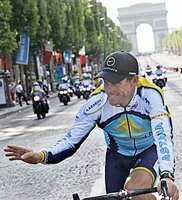 Today it was a victory parade into Paris for Contador, who was joined on the podium by Andy Schleck and 7-time champion Lance Armstrong. Our awesome American champ held 3rd Place – a tribute to all cancer survivors. It's a rock, smoothed and rounded on one side. They were laid as pavers, predating tarmac, poured concrete, and asphalt. 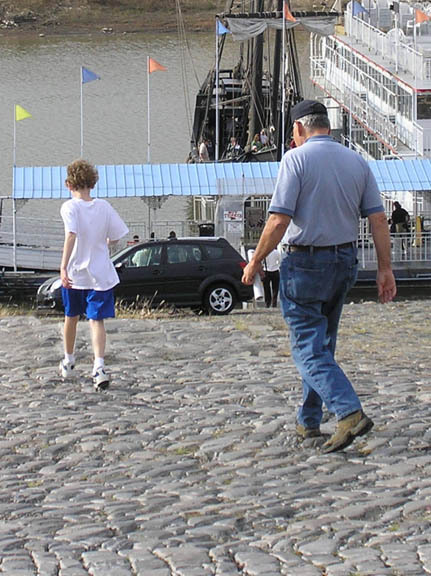 They can be set in sand or dirt, or held together with mortar, but the granite cobblestones on the Memphis riverfront don't have any mortar, so they're flexible, resistant to cracking, and permeable. You can buy cobblestones today, old and new ones. They've become popular for paving newly pedestrianized streets and high quality drives and walkways. Here's a video on tips for installing. The narrator's sense of humor and Irish accent reminds us that it was Irish immigrants who brought their masonry skills to Memphis and laid the stones on our landing. Is Cobblestone Landing just a Bunch of Old Rocks? Well, it is a bunch of old rocks, but not just any old rocks. Why not? 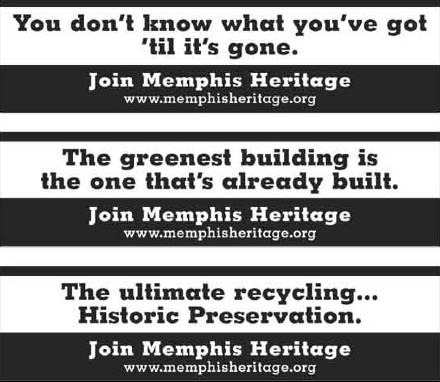 Because 130 years ago, the rocks of our Cobblestone Landing made Memphis a major distribution center. They aren't big boulders, but they made a big impact on our local and national economy. Paving the landing with cobblestones was a technological innovation that increased commerce, allowing year-round loading and unloading of products and supplies to travel upriver and downriver. Before this, the sloped bluff could be difficult to negotiate, especially in rainy weather. 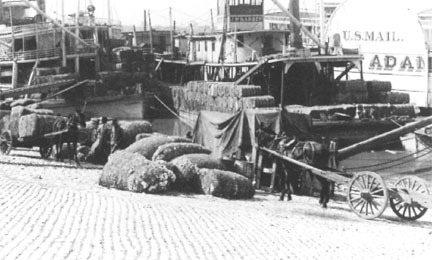 Paving with cobblestones allowed Memphis Landing to be heavily used year-round and boosted Memphis to become a world center for hardwood and cotton trading. Public Meeting on plans for our Cobblestone Landing!!! 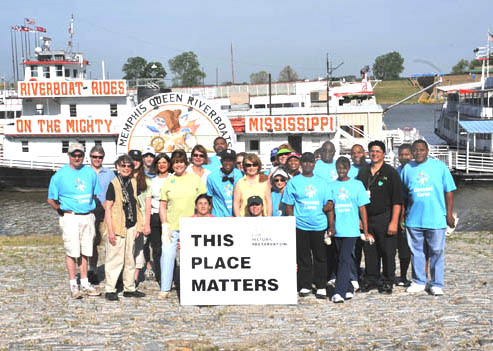 its future as a boat landing and National Historic Landmark are at stake. Money has been approved to RESTORE the Landing. Let's do it correctly - for the future. Mark your calendar to attend the public meeting. What’s a National Historic Landmark? National Historic Landmarks are exceptional places. They include buildings, sites, memorials, and parks that have meaning to all Americans. The landmarks are registered and protected by the National Park Service with the goal of helping us understand our common heritage and conserve our treasures. TN can boast of 29; 4 of them in Memphis: Beale Street, Chucalissa, Graceland, and Sun Record Co. That’s something to brag about! The Cobblestone Landing is eligible to become #5. Recognized as the “best preserved of all the great river landings on the Ohio, Missouri and upper Mississippi rivers,” its proper restoration and maintenance are a key to riverfront revitalization. 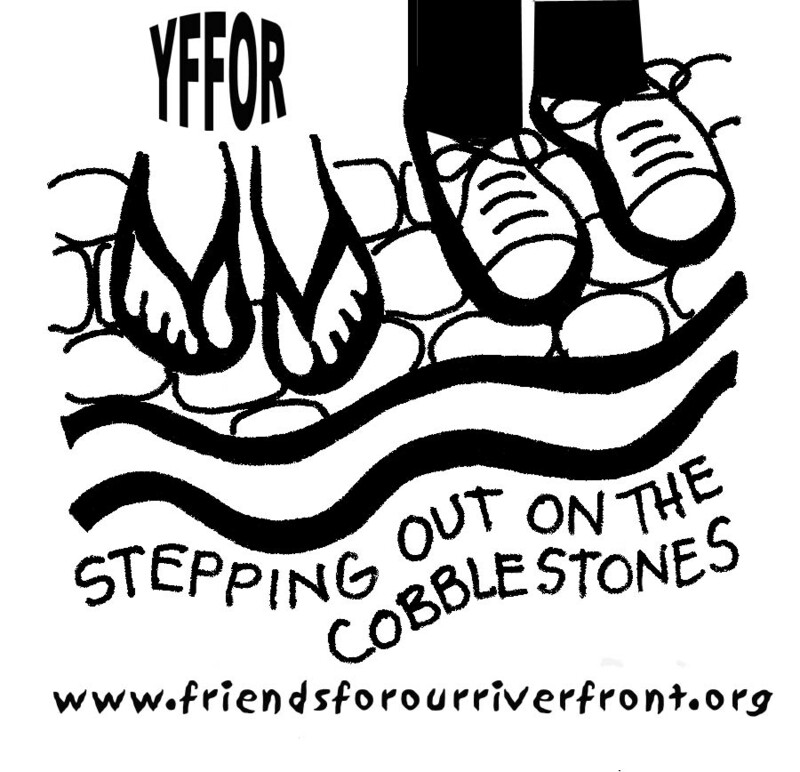 To learn more about why the Memphis Cobblestone Landing is important, click HERE. For a list of all National Historic Landmarks, click HERE. Memphis is ranked #35 of the 40 most-walkable cities in USA, according to the Atlanta Business Journal. Nashville ranks #39 but doesn't have a cobblestone landing like we do. Bless its heart! Walking on cobblestones is healthy. Many professional physical therapists recommend it to improve our sense of balance. It also provides pressure point massage, and burns off calories! 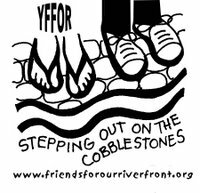 So, in the interest of our own health, let's ALL insist on proper restoration and routine maintenance of our cobblestones at Historic Cobblestone Landing on our Memphis riverfront. BTW: The Top 5 most-walkable cities are: San Francisco, New York, Boston, Chicago and Philadelphia. They have cobblestone streets. BUT none of them has a Cobblestone Landing. Bless their hearts! 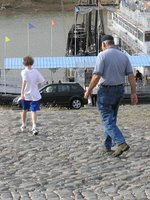 Learn more about the health benefits of walking on cobblestones (click below). Work by Mother & Son, Mattie L. and Michael Williams, on display at the Cossitt Library, 33 S. Front at Monroe on the Public Promenade. 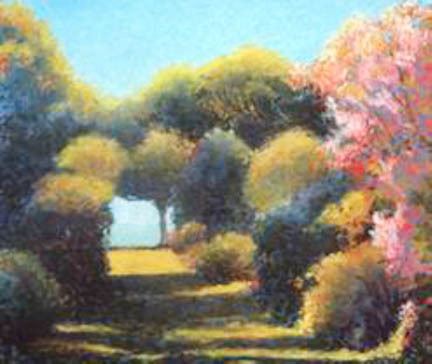 Reception: Friday, July 10, 3-5 pm. Plans continue for the Greater Memphis Greenline, and public meetings are scheduled to discuss design and management of the greenway that will run from Midtown to Shelby Farms Park. A long-term goal is parks and greenways county-wide, an "emerald necklace," to connect us as a beautiful, livable community with Shelby Farms Park and the riverfront's Public Promenade, both under conservation easements, as jewels in the necklace. 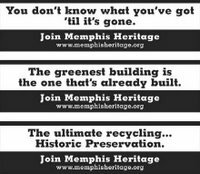 Shelby Farms Park Conservancy, Shelby County Government and Greater Memphis Greenline ask for your input. Celebrate the 4th of July Memphis-style. * Music in WC Handy Park (Beale & 3rd) starts at 5 pm. 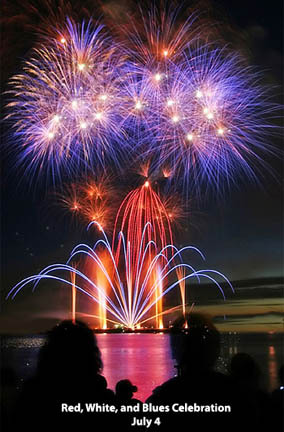 * Fireworks on the Riverfront in Tom Lee Park start at 9:30pm.